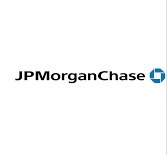 JPMorgan Hiring Applications Developer,JPMorgan Fresher Applications Developer,Applications Developer Opening in JPMorgan,JPMorgan graduate Applications Development Engineer,JPMorgan IT Associate,JPMorgan Recruitment ,Placement and Opening In Kolkata Jobs,Hydrabad Jobs,IT Jobs,Bangalore Jobs,Pune Jobs,Chennai jobs,Delhi Jobs,Gurgaon Jobs,Noida Jobs in India. As a Business Systems Analyst/Technical Business Analyst, you will serve as a liaison between Application Developmet and the Business/Product Development. You will work with the Business/Prod Dev to analyze business requirements and review/produce specifications for any new/change request to our BI reports and related application. After collecting and documenting the requirements, you will work with the development team to ensure that they understand the specifications and any QA and/or UAT teams to ensure that they understand the test scenarios. You will be responsible to identify, assess, and document business requirements, advising business on options and risks, while conducting research to determine if solutions to business requirements currently exist within or outside the business unit, and if not, whether new solutions are feasible.